Best Western is proud to be the preferred accommodation supplier for Sam Clark aka Ringo Brown from Neighbours as he conducts a five-week schools tour for the Australian Red Cross Blood Service starting 1 August. Sam will discuss the importance of giving blood with school students. The tour also coincides with the physical and digital release of his single ‘Devastated’, which featured on Neighbours as the catalyst for Donna and Ringo’s reconciliation and engagement on the show recently. Kimi Anderson, General Manager of Sales and Marketing said, “So many lives can be saved by giving blood. We’re happy to support this tour as Sam spreads this important message to young students”. Sam will stay at over 20 Best Western properties along the East Coast during his tour. GOURMETS can indulge in fine food and wine prepared by some of Queensland’s best chefs as part of a special culinary experience from luxury boutique accommodation group Spicers. The Spicers Chefs Signature Series at Spicers Peak Lodge in August will treat guests to an indulgent eight course feast featuring award-winning cuisine and a wine list which is impeccably matched. Highlights of the delicious degustation lunch menu include Mooloolaba Whiting Boudin with Boston Bay clam, Cannellini Beans and white wine jus; Steamed Hor Mok of Goldband Snapper and Roasted Cannon of Tatiara Lamb. The chef line up features Mark Jensen from Spicers Peak Lodge, Dylan Kemp also of Spicers Peak Lodge, Cameron Matthews from Spicers Clovelly Estate and Paul Blain from Spicers Tamarind. “Four chefs, eight sumptuous courses at 1,100 metres high in an idyllic mountain retreat - this will be a day like no other,” Spicers Peak Lodge executive chef Mark Jensen said. Spicers Chefs Signature Series will be held Sunday 22 August 2010 at Spicers Peak Lodge, Wilkinsons Road, Maryvale, Queensland. Pre dinner drinks start from 11.30am with lunch to commence from noon. Limited tickets are available for $195 per person with accommodation packages also available. Situated on a working cattle property, Spicers Peak Lodge lies in Queensland’s spectacular Scenic Rim region, two hours south west of Brisbane. The lodge is close to the unique World Heritage Listed Main Range National Park, the Great Dividing Range and the Granite Belt wine region. Transfer options to Spicers Peak Lodge are available at additional cost. For reservations contact 1300 198 386. 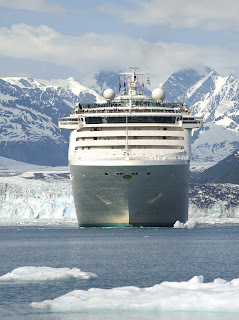 Princess Cruises has launched its 2011 Alaska program, offering Australians the chance to explore the northern wilderness at prices up to 20 per cent lower than this year's cruises. Already a popular cruise destination for Australian holidaymakers, Alaska is now one of the most affordable with fares for a seven-night voyage from $859* per person. 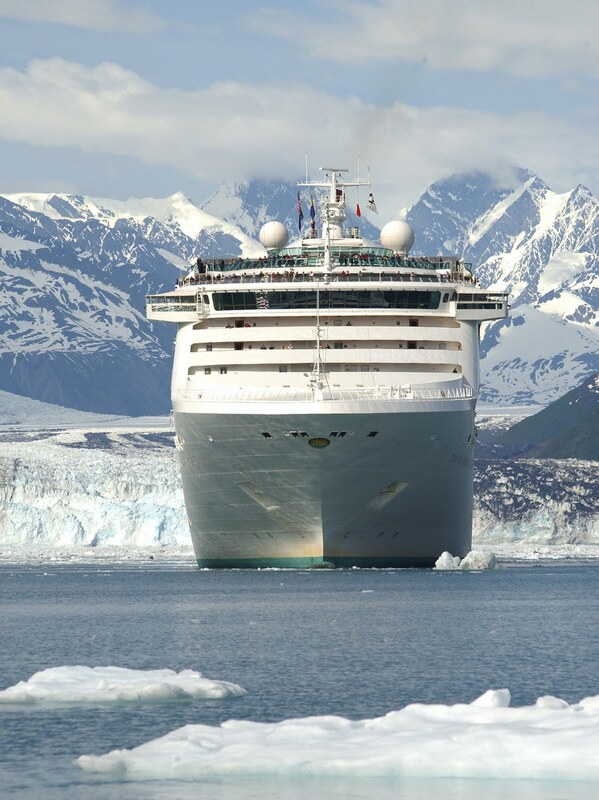 Meanwhile, Princess Cruises is also offering a range of new land tours showcasing Alaska's captivating scenery, with prices starting from only $699* per person for three nights. The new 2011 program offers passengers voyages spanning seven to 14 nights onboard six different ships, ranging from the 1970-passenger superliner Sea Princess to the 2670-passenger megaliner Diamond Princess. Departures are available from Vancouver, Whittier, Seattle or San Francisco between May and September 2011. The popular seven-night Voyage of the Glaciers itinerary returns in 2011 taking in attractions in both the Inside Passage and Gulf of Alaska. Passengers can spend time exploring Alaskan towns and cruise past the 16 giant glaciers of Prince William Sound's College Fjord onboard megaliner Diamond Princess and superliners Coral Princess and Island Princess with fares starting from $939* per person twin-share. Alternatively travellers can enjoy seven nights sailing from Seattle through the Inside Passage onboard Sapphire Princess. Visiting Alaska's remote capital of Juneau, only accessible by sea or air, as well as historic Ketchikan and Skagway and picturesque Victoria in British Columbia, fares on these cruises start from $859* per person twin-share. Princess Cruises has also introduced an expanded program of land tours as part of the 2011 season, with passengers able to choose from a range of tours from three to seven nights. These include the Denali Explorer Direct to the Wilderness program, where guests step right from their ship onto luxury railcars that transport them directly to the Denali area, famous for its amazing wildlife. The three-night Denali Explorer land tour starts at $699* per person twin-share. Another new offering is Princess' Off The Beaten Path – seven-night tours taking in more remote areas of Alaska such as St Elias National Park, the Kenai Peninsula and Prudhoe Bay in the Arctic Circle. Combined land and cruise tour fares start at $1638* per person twin-share for a seven-night Voyage of the Glaciers cruise and a three-night Denali Explorer land tour. Princess President and CEO Alan Buckelew said Princess Cruises was a leader in Alaska cruising. "We offer the best way to see Alaska, whether at sea on board amenity-filled ships or on land with Princess' signature wilderness lodges and rail travel. Combining both with a cruisetour will enable passengers to immerse themselves in the wonders of this 'last frontier'. Prices are per person, twin-share and subject to availability. Conditions apply. Vibe Hotels scored a game winning goal this week, securing a preferred sponsorship agreement with A-League Champions Sydney FC for the 2010/2011 soccer season. Sydney FC players, management and visiting teams will all now have vibe-rant accommodation experiences when travelling. As part of the agreement, Vibe Hotels has been named the exclusive accommodation provider to the team. Vibe Hotels will use the opportunity to entertain and excite key clients at what can only be described at the world's most popular game. Rachel Argaman, CEO of Toga Hospitality, said: "We're thrilled to announce our brand new sponsorship of one of the hottest sporting teams in Australia – Sydney FC. All of our clients and guests love the good old fashioned fun and competition of soccer. We look forward to a long and mutually beneficial partnership, kicking goals together with the team." Iggy Jovanovic, GM Commercial Partnerships, Sydney FC said: "We're extremely happy to be associated with the Vibe Hotels brand. They offer a dynamic and entertaining experience, something that we also offer with the way we play football. We have a great synergy and we are excited about our new partnership." Machu Picchu, a UNESCO World Heritage Site and one of the New 7 wonders of the world, is considered to be one of the most spectacular and spiritual sites in the World. Nestled on a small hilltop in the Andes, and situated over 2,400 metres above sea-level, the hidden "Lost City of the Incas" is a mesmerising sight that remained undiscovered until 1911. But while the mountainous valleys, cloud forests and high rainforests are a world away from the landscapes of Australia, it is not as unattainable a destination as some might think, with flights from Sydney to Peru with LAN, Qantas and Aerolineas Argentinas, and additional packaged tours offering fantastic late availability discounts. Taking in the Machu Picchu archaeological site and Inca civilisation, as well as the floating islands of Lake Titicaca and Cusco's Sacred Valley, the Chimu Adventures' 9-day 'Highlights of Peru' is offering a saving of $400 per person for bookings made before August 31st. Australia's Latin American experts' 9-day tour includes accommodation in 3* hotels, all internal flights, breakfasts and some meals, transfers, day tours and a guided tour of the world-famous Inca site. For a longer tour of Peru, incorporating the Nazca Lines, Colca Canyon, Arequipa, Lake Titicaca, Cuzco, Inca Trail, Machu Picchu and the Amazon Rainforest, Gap Adventures has a 21-day 'Absolute Peru' tour, departing from Lima and staying in more basic and traditional accommodation which includes home-stays, jungle lodges, guest houses and camping, ideal for travellers wishing to get a more of an 'off-the-beaten track' experience. The Gap Adventures 21-day tour has 20-25% off the current price of all tours departing before August 31st, making the trip only $2408 (down from $3009). 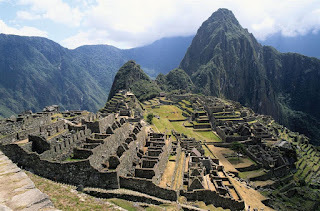 For further information on the 'Absolute Peru' tour visit www.gapadventures.com.au or call 1300 796 618. Terms and conditions apply to all tours. Visas are not required for Australian passport holders; however a passport must be presented alongside a return ticket. The secluded French Polynesian islands of Taha'a, Manihi, Tikehau and Huahine are among some of the best kept secrets in the Pacific. Now you can experience these through a new range of special packages introduced by Air Tahiti Nui and Tahiti Travel Connection. The four packages feature return Economy Class fares with Air Tahiti Nui, "meet and greet" with lei on arrival, land transfers, five nights accommodation on an island of your choice and free breakfast and dinner daily. There's also a free upgrade to the next room category, one night on arrival in a standard room at the Manava Suite Resort and one night in a standard room at Hotel Tahiti Nui on departure. Manihi Memories: The Manihi Pearl Beach Resort, on picturesque Manihi Island, is priced from $3020 per person ex Sydney and Melbourne, or $3040 per person ex Brisbane. 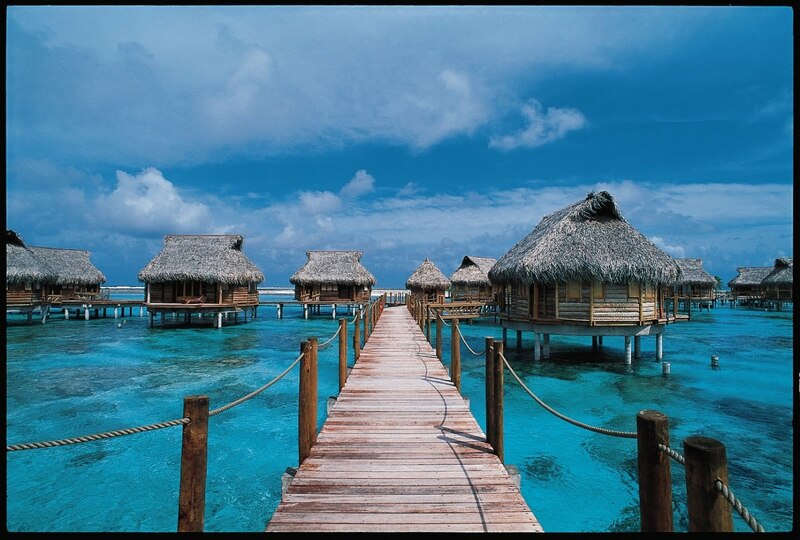 The idyllic sapphire waters are mere footsteps away from your authentic Polynesian beach bungalow. Huahine Heaven: The Te Tiare Beach Resort is only accessible by boat and this ride sets the scene for a magical stay. Packages start from $3065 per person ex Sydney and Melbourne, or $3085 from Brisbane. French Flair: For those who prefer a touch of luxury, Le Taha'a Island Resort & Spa Package is for you. Priced from $4250 per person ex Sydney & Melbourne $4270 per person ex Brisbane this resort blends luxury and authentic Polynesian culture perfectly. Kaleidoscope of Colours: The Tikehau Pearl Beach Resort rests atop stunning pink sand beaches. Priced from $3585 per person ex Sydney and Melbourne, and $3605 ex Brisbane, this oval-shaped haven features some of the bluest lagoons in French Polynesia! Packages are valid for travel between 01 November and 31 December 2010, and are based on low season pricing- some conditions apply. To book one of these fantastic deals contact Tahiti Travel Connection on 1300 858 305 or visit www.tahititravel.com.au/Packages/2010/general/index.asp. Flights to the tropical islands of Tahiti are with multi award winning Air Tahiti Nui, the international airline of Tahiti and her islands. For more information about Air Tahiti Nui visit www.airtahitinui.com.au. 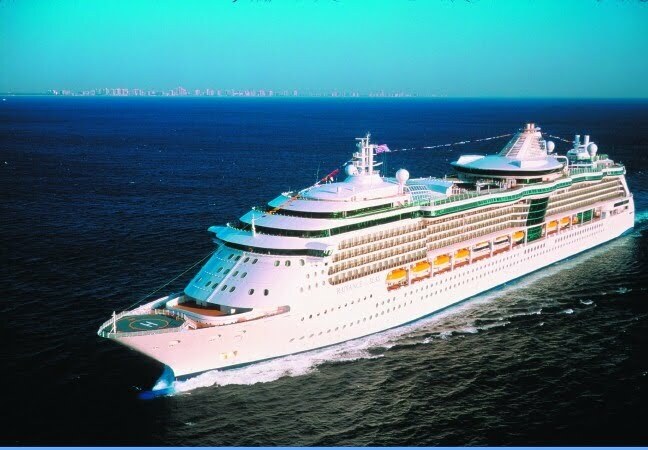 A 12-NIGHT coach tour from San Francisco to San Diego in May next year has been uniquely coupled by ecruising.travel with 12-nights cruising from San Diego to Alaska and Vancouver aboard the 90,000 tonne, 5-star Radiance of the Seas. This two-in-one holiday brings with it attractions as diverse as Alcatraz Prison, the Napa Valley, Beverley Hills, Rodeo Drive, an historic Californian mission and San Diego Zoo, followed by Radiance of the Seas' cruise to San Francisco, and then Alaska's Ketchikan, Juneau, Skagway, a cruise by Hubbard Glacier, Sitka, and then a day in Nanaimo in British Columbia, and Vancouver where there are two nights at a waterfront hotel. And the whole 24-night package including return air and taxes from Sydney and services of a Tour Director throughout the 12-nights of coach sightseeing, is available from $6,990pp twin-share. THIS unusual cruise-tour begins on May 5 2011 with two nights in San Francisco including a full-day touring the Bay area, followed by a visit to Alcatraz, two nights in the Napa Valley's Wine Country, two wine tastings, a Champagne Brunch and a hot air balloon ride, two nights in Monterey and famous Carmel-by-the-Sea, and two nights in Beverley Hills including sightseeing Rodeo Drive, Hollywood and Grauman's Chinese Theatre. The tour goes on to San Diego for two nights with visits to the circa-1776 San Juan Capistrano Mission including a Docent-led tour, and San Diego Zoo before joining Radiance of the Seas' cruise to San Francisco, Alaska's Ketchikan, Juneau, Skagway, the cruise by Hubbard Glacier, Sitka, Nanaimo in British Columbia, and Vancouver where there are two nights at a waterfront hotel. Australian, Jay Whyte is quickly proving he knows what Australian's want to see when they visit Fiji adding a fourth jet boat to his award winning Sigatoka River Safari to accommodate growing passengers. The popular Sigatoka River Safari, which takes passengers along the Sigatoka River in custom built safari jet boats and visits authentic Fijian villages to allow guests the opportunity to experience a day in the life of the real 'kaiviti' (Fijian), has experienced such substantial growth since its beginnings in 2006 that it has added three additional jet boats in this time. "I started Sigatoka River Safari in early 2006 with only one boat called Qulewe. By August 2006 I added a small 7 seater named Karua to the fold and then in April 2008 I added a 19 seater called NABUAVATU. Now a year later we've received our brand new 19 seater jet boat, Davujukia." Said Jay Whyte, Founder and CEO, Sigatoka River Safari. With the arrival of Davujukia, Sigatoka River Safari can accommodate a total of 54 passengers on each of its morning and afternoon tours, with the fourth jet boat adding a further 19 passengers per tour. "I have been amazed by the growth of Sigatoka River Safari over the past four years. Numbers from the beginning of 2010 have increased by 20% in comparison to the same time period in 2009. Getting our fourth jet boat, Davujukia means that we can now really cope with passenger demand and hopefully continue to grow the business." Explains Mr Whyte. Sigatoka River Safari was the dream of a 13 year old Australian boy, Jay Whyte. Jay's dream began after meeting Fijian, Pita Matasau in 1991 at the resort he and his family were staying at. After becoming firm friends Pita took Jay and his family to see his village of Draiba, deep in the Fijian interior. From this amazing opportunity Jay decided everyone should be able to see this part of Fiji and the idea for Sigatoka River Safari was born. Fast Forward to 2004 and Jay followed his Sigatoka River Safari dream and began developing his ideas. In 2006 Fiji's Sigatoka River Safari began operating tours and by 2008 it had already won two AON Excellence in Tourism Awards – the first for Best Adventure Tour in 2007 and the second award was for Best Fiji Experience in 2008. The Sigatoka River Safari adventure starts from the minute passengers depart Sigatoka Town and embark on a spectacular 10 mile journey through the picturesque Sigatoka Valley, or fertile "salad bowl" of Fiji as it is called by locals, to the jet boat departure point. After a short stroll thorough the Fijian jungle, passengers board the safari jet boats and head up Fiji's longest river into the beautiful highlands. Passengers learn about the amazing history of Fiji, the Sigatoka Valley and the ways in which the river was and still is used today. Sigatoka River Safari works with 14 different villages and visits a different village every day, to minimise the impact of tourism on the village lifestyle, a key element in their success to date. Sigatoka River Safari operates two tours Monday to Saturday at 8.30am and 1.00pm. For pick-ups from Coral Coast resorts prices are adults FJD$210.00 and children (4 -15yrs) FJD$99.00. For pick-ups from Nadi/Denarau resorts adults are FJD$230.00 and children (4 to 15yrs) FJD$110.00. All children under 3 are free. Prices include transfers to and from resorts, a 4.5 hr safari tour, tropical lunch in a Fijian village, a contribution to your village, complimentary safari Sulu and a 10% shopping discount at Tappoos. Australian travellers will be left wanting more of Tahiti's magical Moorea Island with this newly released deal on www.youdeservetahiti.com.au. Home to a host of walking trails, agricultural tours and water activities including dolphin watching, Moorea's white sandy beaches, crystal clear lagoons and towering mountain peaks has something to tempt everyone. Elegant Resorts and Villas is offering a taste of Moorea in a seven-night package, staying five nights at the decadent Sofitel Moorea Ia Ora Beach Resort in a Luxury Beach Bungalow with daily breakfast and dinner for $3745.00* per person, and the option to upgrade to a Superior Overwater Bungalow for only $330.00 per person*. Return economy airfares and taxes are included on Air Tahiti Nui from Sydney, along with a night before and after the magical Moorea stopover in a Classic Mountain View room in Tahiti's beautiful Sofitel Maeva Beach Resort along with return catamaran to Moorea and all land transfers. Offer is valid until December 16, 2010. 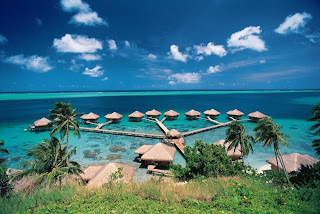 For more information and to book visit www.youdeservetahiti.com.au or call Elegant Resorts and Villas on 1800 079 965. Follow Tahiti Tourisme on Facebook www.facebook.com/TahitiTourismAU or Twitter www.twitter.com/TahitiTourismAU. 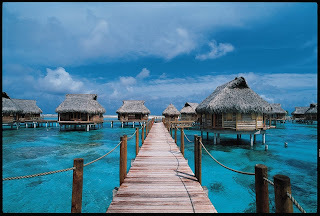 For more information on Tahiti and her islands contact Tahiti Tourisme on 1300 655 563 or www.tahitinow.com.au. Photo shows a honeymoon couple on the balcony of their overwater bungalow at the Sofitel Moorea Ia Ora Beach Resort. *Prices are per person twin share. Subject to availability, conditions apply. Plan your Port Douglas summer holiday now with these fantastic deals from Best Western Lazy Lizard Motor Inn. Ideally located only minutes away from the village centre of Port Douglas and the famous Four Mile Beach, the Best Western Lazy Lizard Motor Inn offers a tropical haven for visitors looking for a destination of immense natural diversity. Explore tropical North Queensland on a four-night stay with accommodation in a spacious queen studio unit, daily continental breakfast, full day Daintree Walkabout tour and full day Kuranda Train and Skyrail Tour. From only $579 per person, twin share, subject to availability. Discover the wonders of the Great Barrier Reef with a snorkeling excursion on a four-night stay at the Best Western Lazy Lizard Motor Inn. The package includes daily continental breakfast, sunset sailing sightseeing tour on the Coral sea and half-day Cassowary Falls and Daintree river cruise. From only $579 per person, twin share, subject to availability. The Best Western Lazy Lizard Motor Inn offers spacious rooms with air-conditioning, kitchenette facilities, TV and DVD, wireless broadband and outdoor patio area. The hotel also features outdoor swimming pool, spa and BBQ area, with a short stroll to the village shops and cafes. These offers are valid until March 31, 2011 and are bookable via Central Reservations Office on 131 779 (from Australia) or 0800 237 893 (from New Zealand) or www.bestwestern.com.au/lazylizard. The Principality of Monaco is in celebration following the recent accolade by Trip Advisor’s 2010 Travellers Choice Awards which voted Monte Carlo as its number one Worldwide and European destination. Monaco is celebrating summer in style, of course, and is providing a spectacular backdrop for world-renowned firework artists that represent their country in the International Fireworks to Music competition. This year the Ukraine, Italy, USA and Spain are competing with their fireworks, music and choreography against the stunning background canvas of Monaco for four nights during July and August. The gates of the Princes Palace are rarely opened, apart from the special season of summer concerts performed by the Monte-Carlo Philharmonic Orchestra. The courtyard has been the magical setting for this annual series of concerts since 1959, providing exceptional acoustics and guest conductors who aspire to perform in this special venue. The seven gala open-air concerts during July and August revisit a classical repertoire including many well-loved composers such as Verdi, Beethoven and Tchaikovsky. 12 day / 11 night cruise from Moscow to St. Petersburg on board the MS Chernishevsky from just $2045 per person twin share. Enjoy the relaxation of a holiday on board a floating hotel, offering 3 meals per day and excursions and immerse yourself in Russian cultural activities. Choose from a range of vessels and routes: Moscow to St. Peterburg, St. Petersburg to Moscow, Moscow to Astrakhan, Perm to Moscow or St. Petersburg to Rostov-on-Don. There's no rule against mixing business with leisure, which is why Peppers Guest House in the Hunter Valley has put together the perfect package including both. Peacefully set in the heart of the renowned Hunter Valley wine country, the ambient Peppers Guest House invites you to enjoy your next conference or event in relaxing surrounds with a new all-inclusive conference special now available. Make it your business to take advantage of incredible value, delicious food and wine, and exceptional Peppers service for delegates who can enjoy overnight midweek accommodation, full breakfast and a full-day conferencing package that includes morning tea, lunch, afternoon tea and conference room hire. From $299* per delegate per day, this all inclusive Conference Package also features pre-dinner wine tasting, a three-course dinner in the brand new Restaurant Sanctuary, and a three-hour premium Hunter Valley beverage package. Seal the deal by choosing a complimentary team building activity, ranging from nine holes of golf at Cypress Lakes, or Laser Clay Target Shooting, to a half-day winery tour, Tai Chi session or endota spa treatment. *Conditions apply. Subject to availability. Based on twin share. Add $55* per person for single share. Valid for events to15/12/10 for new bookings only. Minimum 20 delegates. Surcharge applies to weekends. Add an extra night's accommodation from $199* including breakfast. Humpback whales are currently making an almighty splash in waters from Esperance in the South East to Broome in the North West of WA. WA has one of the longest whale-watching seasons in the world, running from June to early December each year and covering the length of the State’s coastline. Humpback whales first make an appearance in the south of the State in winter during their annual migration north to warmer waters and are then visible on the South West coast again in spring as they head back to Antarctica. Australia’s South West Chief Executive Officer Sascha Papalia said humpack whales had arrived earlier than usual this year and local whale watching operators were delighted with the numbers they were seeing off the coast of Augusta and Albany in the South West. “Hundreds of whales visit South West waters each year to play, feed, breed and travel close to the coast during the winter months,” Ms Papalia said. Often during July more than 200 whales can be seen at any one time in Flinders Bay, Augusta, offering an amazing spectacle for whale spotters on the mainland and passengers aboard whale watching charters in the area. The Cape Leeuwin Lighthouse offers an excellent vantage point for land based whale watching during winter. Whale watchers can climb to the top of mainland Australia’s tallest lighthouse or look out to sea where two oceans meet through the decking binoculars. With uninterrupted views across King George Sound, Albany’s Whale World is another great place to spot whales and to learn about the interesting history of this former whaling station. Victoria Casey from Three Islands Whale Shark Dive said plenty of humpback whales had been sighted near Exmouth on the mid north coast during their annual migration north along Ningaloo Reef’s humpback highway on their way to the Kimberley. “Humpback whale numbers are increasing daily and our passengers also saw a huge pod of spinner dolphins recently,” Ms Casey said. Minke whales and orcas have also been spotted off the coral coast in the last few weeks. Australia’s North West CEO Glen Chidlow said the largest population of humpback whales in the world migrated along the pristine waters of the Kimberley coast annually, using the area as a breeding and calving ground between end of June and mid October each year. “You can see whales from the shore in many places along the Kimberley coast or join a whale watching tour to see them up close,” Mr Chidlow said. A rare white-tailed humpback whale was spotted at Cable Beach this week. Whale watching tours operate out of Perth and Geographe Bay from September to mid December as the whales stop for a rest on their way back to Antarctica. The seaside resort town of Dunsborough in Geographe Bay is considered one of the best places to join a whale watching charter because the whales come in close to shore. The north facing bay also offers calm conditions for a comfortable aquatic outing. The Cape Naturaliste Lighthouse near Dunsborough is a great viewing spot for whale watching during spring, as are nearby walking trails through the Leeuwin Naturaliste National Park. The largest animal in existence, the rare blue whales occasionally make an appearance in Albany from May to June and in Dunsborough during November and December. Southern right whales (the second largest mammal in the world) are most commonly sighted from May to June in Albany and in Augusta from August to October. Visit www.westernaustralia.com for further information. July 20, 2010: Travellers looking for a great deal can’t go past the 2010 Malaysia Mega Sale Carnival which commences 24 July and runs through to 16 September 2010, presenting Australians with the opportunity to enjoy all Malaysia has to offer as well as amazing value for money shopping. Lasting for almost eight weeks the Mega Sale Carnival is the country’s biggest sales event bringing together a whole range of bargains on various merchandise, from home grown products, exclusive designer goods, exotic local handicrafts, funky fashion-wear, to the latest gadgets and tempting dining experiences. Topping it all off, many retail goods are also tax exempt or duty free. Shahrin Mokhtar, director Tourism Malaysia Sydney, says this year’s Mega Sale Carnival promises to be a grand shopping fiesta. See www.creativeholidays.com/malaysia for full details or see your local travel agent. For more information on the 2010 Malaysia Mega Sale log onto www.tourism.gov.my. The Global Carnival 2010 presents world class acts from the far corners of the earth. October 1 heralds the beginning of three days of astonishingly diverse music from every pocket of the globe, ranging from ancient traditions to cutting edge contemporary music. This 2010 program is testimony to the spirit and brilliance of music, the arts and the world. From Friday 1st October to Sunday 3rd October experience the sounds, sights & tastes of the planet in this annual, long-weekend music festival, situated 20 minutes drive inland from Coffs Harbour on the mid-north coast of NSW. The 2010 Global bill of international fare includes Ethiopia's legendary musician MULATU ASTATKE with The Black Jesus Experience, Europe's finest contemporary gypsy guitarist LULO REINHARDT, Masters of the tantric ritual the GYUTO MONKS, Spanish guitarist DIEGO GUERRERO FLAMENCO LATIN QUINTET and Timor-Leste's most celebrated musician EGO LEMOS. 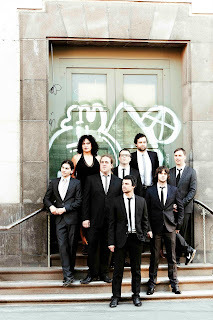 While on the Australian music front – headline acts include multi-ARIA-nominated blues/roots troubadour ASH GRUNWALD, Australia's masters of raw funk and super-heavy soul, THE BAMBOOS, Melbourne's mammoth PUBLIC OPINION AFRO ORCHESTRA, Russian bad-boys VULGARGRAD, Bollywood re-creators THE BOMBAY ROYALE, and Pacific 'krump' dancers GRRILLA STEP featuring DJ DEXTER (ex-Avalanches). Bellingen Global Carnival is traditionally a family-friendly favourite of alternative life stylers and world music fans. Festival Director, Bryony Taylor says "In all their diverse forms, shades and colours, the arts surely feed our souls; inspiring and moving us and reminding us of our common humanity - a world without borders. This is what lies at the heart of the Global Carnival." This world class boutique festival also boasts a fine selection of exotic food & craft and a Children's Festival, ensuring something for everyone. All this plus fantastic Outdoor aerial, mosaic and lantern making and Tall Poppies theatre, during the weekend. · FESTIVAL & ON SITE CAMPING - 12 yrs & under – FREE! · Priority is given to pre-booked season camping (3 nights) - $30.00 or $15.00 per person, per night. For alternative accom ring: Waterfall Way Centre, Bellingen Freecall: 1800 705 735 or 02 6655 1522 or Urunga VIC: (02) 66555711. · Transport: Bellingen is 13kms inland, just south of Coffs Harbour. Trains & coaches to Urunga. Flights to Coffs Harbour. Bellingen Global Carnival acknowledges the Gumbaynggirr people on whose land this festival is celebrated. Cruise1st launched its entry into the Australian market last night with executives claiming its presence will stimulate Australia’s already mushrooming cruise industry. “The more people that specialise in the cruise industry will only do good things for the cruise industry,” International Cruise Council of Australasia General Manager Brett Jardine told e-Travel Blackboard. “Cruise1st is bringing a dynamic cruise packaging model to Australia and Australia is ready for it,” Cruise1st General Manager Sandy Greenwood told guests. Held at Cruise Bar in Sydney’s Overseas Passenger Terminal, Cruise1st’s Australian launch was marked by all the kitsch and glamour associated with cruising, from sailor-suited students dancing to The Love Boat theme to lei-strewn guests sipping blue margaritas – all the launch was missing was someone smashing a bottle of bubbly against a wall. The Cruise1st website enables customers to book a complete fly, hotel stay and cruise package in one transaction. However, their direct to consumer website has not received a ready welcome by all, some fearing Cruise1st will poach business from established agents, reported local media. “But that puts a ceiling on a market we know is growing rapidly,” Ms Greenwood said, dismissing the claim. “We want to bring profitability to the Australian market,” she assured. “If the product [travel agents have] on offer and the service [they] provide represents good value, at the end of the day industry growth will feed industry growth,” Mr Jardine said. The launch of Cruise1st Australia, the first headquarters outside of the UK, marks the beginning of the company’s international growth. In Australia for the launch, Cruise1st Founder and Managing Director, Dan Townsley told reporters of plans to crack a further six markets. “Cruise1st is set to enter Germany by the end of year for launch in March 2011,” he said. “Depending on funding we are also looking into Spain, Mexico, Poland, China and Brazil,” Mr Townsley told e-Travel Blackboard. “We want to grow the cruise industries in these countries. We are looking for growing markets, not ones that already exist,” he said. Guests of the Cruise1st launch were treated to fragments of a ‘flashmob’ – an impromptu performance in a public space – that greeted Sydney commuters at Circular Quay yesterday morning. Royal Caribbean's Celebrity Cruises will return to Australasian waters in 2011-12, with the 1814-passenger Celebrity Century to operate a series of trans-Tasman voyages and an Australian circumnavigation over the peak cruising season. The announcement marks the return of Celebrity to Australia for the first time in a number of years, and will see Century operate itineraries departing from Sydney, Fremantle and Auckland. The program includes a 36-night circumnavigation of Australia which comprises two 18-night sailings split into a northern and southern itinerary. Century's Australasian deployment will replace previously announced cruises departing Baltimore in the US for the Caribbean. Celebrity said bookings for the new season would open on 29 Jul. More information in today's Travel Daily and Cruise Weekly. CruiseMart has a unique idea for keeping the harmony on a cruise holiday on which one half of a partnership would rather go golfing than go sightseeing. It's put together an escorted 21-night package that includes four nights on Bintan Island off Singapore and a 17-night cruise to Sydney aboard mega-liner Diamond Princess in December of this year that has two options: three day's of golf on Bintan pre-cruise and further rounds at five ports of call to Sydney, or a program of spa treatments pre-cruise and sightseeing on the way to Sydney. Guests depart mainland capitals on December 1 for four nights on Bintan Island and join Diamond Princess on December 5 for Ho Chi Minh City, Nha Trang, Bali, Darwin, Port Douglas, Airlie Beach in the Whitsundays and Sydney. The golfers' package includes green fees and electric carts for all games, personal caddies for five rounds in Asia, and transfers to and from courses; non-golfers will enjoy the delights of Bintan Island and two 1-hour Spa Treatments, full-day tours with lunches in Ho Chi Minh City, Bali and on the Barrier Reef, and a 1-hour massage aboard Diamond Princess. Prices start from $5899pp twin-share for golfers and from $5699pp for non-golfers, including air and taxes, airport to Bintan Island and ship transfers, 4-nights at the Bintan Lagoon Resort, 17-nights aboard Diamond Princess with all meals and entertainment, a Welcome Aboard Cocktail Party and a dinner in the ship's Sabatini's Italian Specialty Restaurant. IF you've a lazy month at your disposal, love cruising, enjoy a quiet drink on a warm day that you won't pay full price for, and would like to do your Christmas shopping duty-free, then ecruising.travel have a unique fly, cruise and sail package from Istanbul to the Middle East and Singapore that's just for you. Guests will fly out of Australia mid-November this year, have two nights at the Swissotel the Bosphorus in Istanbul with a full day's city tour and 4-course lunch, and then sail 31-nights aboard the luxury Azamara Quest that carries fewer than 700-guests to Singapore, for a night at the Fairmont Hotel (with transfers) and a flight home. Azamara Quest will sail from Istanbul on November 20 this year for two days in Kusadasi for historic Ephesus in Turkey, Bodrum (Turkey,) an overnight in Rhodes, a full day in Piraeus for Athens, Alexandria in Egypt followed by a passage through the Suez Canal, two nights in duty-free Dubai in the United Arab Emirates, an overnight in Mumbai (formerly known as Bombay,) Cochin in India, Phuket (Thailand) and duty-free Singapore. ADDITIONAL SHIPBOARD INFORMATION: Originally priced from $12,419pp twin-share, the current price represents a saving of 38%pp. The mid-size 690-guest Azamara Quest features 24-hour room service, any-time bottled water, sodas, specialty coffees and teas and complimentary wines with lunch and dinner. She has an intimate environment with one crew member for every two guests, a Piano and Wine Bar, nightly live entertainment, daily enrichment programs, a pool, jogging track, spa and casino. Australian travellers seeking to see the world from in classic British style will be spoiled for choice in 2012, with P&O Cruises World Voyages offering four globetrotting journeys in early 2012. On sale from July 17, the journeys will see four ships – Aurora, Oriana, Arcadia and Adonia – visiting 162 ports of call in more than 50 countries, with sailings ranging in length from three to 109 nights. With a range of sectors available, prices start from $559* per person twin share for a three-night cruise onboard the 76,000-tonne Aurora as she sails from Bangkok on March 6, 2012 to Singapore via Koh Samui. Both Aurora and Oriana will sail full world circumnavigations, in opposite directions, while Arcadia will offer a 109-night world cruise and Adonia will set sail on her first grand voyage for P&O Cruises to South America. The stylish Aurora will depart on January 4, 2012 for a 98-night circumnavigation via the Caribbean, United States and South Pacific returning via Dubai and the Suez Canal. Fares for the full 98-night voyage start from $15,549* per person. The family-friendly Oriana will head east on her own circumnavigation one day later, sailing via the Mediterranean, Asia and Australasia before returning via the Panama Canal and Caribbean. Fares for the full 97-night world cruise are priced from $15,619* per person. Meanwhile, the 83,000-tonne Arcadia will sail a 109-night world cruise via the Suez Canal and Asia, before calling at six ports in Australia and returning via South Africa. The child-free superliner will visit Cairns, Brisbane, Sydney (overnight), Melbourne, Adelaide and Perth, with fares for the full cruise starting from $17,519* per person. P&O Cruises’ latest ship, the boutique 710-passenger Adonia will be the last to set sail, departing January 13, 2012 on her first grand voyage circumnavigating South America. Highlights of the 87-night voyage include sailing the Amazon, overnight calls in Buenos Aires and New Orleans, Cape Horn and the Panama Canal. Fares start from $15,319* per person for the full cruise. Early booking discounts of up to 35 per cent apply to all cruises booked before December 31, 2010, with bonus onboard credit of up to £375 per person also on offer. · A 15-night cruise onboard Oriana from Hong Kong to Brisbane visiting Brunei, Bali, Darwin and the Whitsundays departing February 6, 2012. Fares start from $2659* per person. 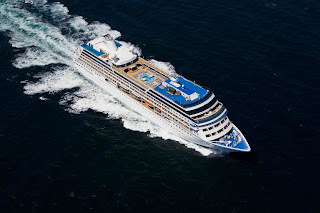 · An 18-night cruise onboard Aurora from Sydney to Bangkok calling at Brisbane, Cairns, Darwin, Bali, Vietnam’s Nha Trang and Phu My and Sihanoukville in Cambodia, departing February 17, 2012. Fares start from $3249* per person. · A 12-night cruise from Melbourne to Singapore onboard Arcadia visiting Adelaide, Perth and Bali, departing March 11, 2012. Fares start from $2219* per person. When life becomes a stressed-out juggling act and it's time to regain some balance, look no further than the charming Tasmanian retreat of Peppers Calstock for the three Rs - relaxation, rejuvenation and reconnection. The historic retreat at Deloraine has developed a special package combining an indulgent escape with a professional counselling session, ideal for guests needing even more from their getaway. Peppers Calstock and the surrounding landscapes of northern Tasmania provide peace and tranquillity; the perfect place to get in touch with your heart and soul and rediscover your journey with guidance from professional therapist, Jane Oakley Lohm, of Balancing of Life. The Rebalancing Retreat Package includes accommodation in a Garden Queen Room, full breakfast and a private three-hour counselling session. Priced from $705* per night single share, or from $730* per night double share. Three day packages are highly recommended to ensure plenty of time to relax and reconnect. For bookings call Peppers Calstock on 03 6362 2642, or for information contact Jane, of Balancing of Life, on 03 6340 2928 or 0438 681 390. *Conditions apply. Valid until 26/10/10. The whales have arrived at Hervey Bay, many with their calves in tow, to frolic, play and make a whale watcher's day. Tourism Fraser Coast has confirmed the first whales have been spotted on their way south to Antarctica, bringing their babies with them to ensure a breath-taking display of nature's majestic creatures at their most relaxed. Each year between July and early November, visitors to Hervey Bay have the unforgettable opportunity to marvel at the mighty humpback whales, as they take time out from their annual migration for a bit of R&R in the protected waters of the region. And now they've arrived they're the talk of the town. Some say there's no better place to experience the graceful antics and the awesome size of these wonderful creatures, which is why Hervey Bay has become synonymous with the glorious past-time of whale-watching. A whale watching cruise is the best way to make the most of this amazing sight, so three of Hervey Bay's most popular properties, Mantra Hervey Bay, BreakFree Great Sandy Straits and Peppers Pier Resort, have struck up a new partnership with Hervey Bay Whale Watch and put together some enticing package deals for the 2010 whale-watching season. The new packages include accommodation and tickets for a half-day Whale Watching Cruise aboard the Quick Cat II with Hervey Bay Whale Watch, which has won multiple tourism awards, offers daily cruises from 7am to 12.30pm, or 1pm to 5pm, and is hydrophone equipped to listen to whale songs, with guaranteed sightings on all cruises. Choose from the Two Adults Package of accommodation and two adult tour tickets, or the Family Package of accommodation and family tour tickets comprising two adult tickets and tickets for two children aged between 4 and 14 years. Of course, Hervey Bay is also the perfect base for exploring the region, from the tranquil bay waters to the unique natural wonder of Fraser Island, while other attractions including excellent fishing, recreational boating and calm seas that invite sailing, kayaking and swimming. *Conditions apply, minimum stays and blockout periods apply. Subject to change and availability. Walter Scott Law designed and John Mahon first licensed Middle Park Hotel in 1889. Melbourne has come a long way since then. It has matured to become a cosmopolitan city that pulses with a vibrant energy. The love affair with major sporting events, restaurants, architecture, café lined streets, bars, art galleries, spacious parks and village-like inner suburbs make this city one of the worlds most liveable. Middle Park Hotel encompasses much of what make Melbourne great. All of the abovementioned elements can be seen here. The position at Gate 1 of the ‘Australian Formula One Grand Prix’ makes it hard not to embrace all things sport. Melburnians love it and patrons at Middle Park Hotel can enjoy a wide range of live sporting events at the hotel. Middle Park Hotel also takes its food and drink seriously. One of Melbourne’s elite chefs Paul Wilson and his team headed up by fellow Brit Dave Marshall ensure that. A carefully assembled wine list, beer list and cocktail list impress. Coffee is also good. Let’s face it, in Melbourne it would want to be. Architecture has been inherited and enhanced by Melbourne’s most inventive practice, Six Degrees. The art story in the bar and dining room is a collection of sporting prints and memorabilia. The guest rooms display a collection of Rennie Ellis Photographs depicting life in Melbourne over five decades. Middle Park Village sits nestled between Port Phillip Bay, The City, Albert Park Lake and St Kilda. Not a bad spot, I think you’d agree. The finishing touches have been added and Middle Park Hotel is now complete. The hotel entrance is marked with a red canopy, reminiscent of a 5th Avenue apartment. Upon entry, guests are greeted with a grand Victorian staircase heading upstairs to hallways laid with plush monogrammed carpet, leading to 25 hotel rooms that exude contemporary luxury. The award winning team behind the hotel’s refurbishment consists of Julian Gerner of Melbourne Pub Group and Six Degrees Architects, who have successfully collaborated on an impressive portfolio of bars and restaurants. This creative partnership’s eye for detail, finish and fun is in abundance at as this is their first foray into hotel accommodation. “The rooms are about trying to strip back to the core of what a traveller needs. The plan and wall treatments of the rooms are influenced by Katsura, secret puzzle boxes, Love Hotels and the Tardis”, says Mark Healy. The Grand Victorian pub built circa 1889 maintains its spacious high ceilings with original architraves. Plantation shutters punctuate the original features in a pleasing minimal effect, a true nod to Victorian and South Melbourne ‘pub culture’. All rooms offer absolute comfort, style and plenty of personality with most featuring built in window banquettes, LCD televisions, mixed material cabinetry with marble, timber, leather, rattan and mirror and plenty of natural light. Bathrooms are chic and stylish pamper rooms with their black sleek tiles, neon strip lights and quality porcelain fittings. In addition, the suites feature claw foot, freestanding bathtubs and double-headed showers. In restoring the hotel, Julian Gerner’s sole objective was to celebrate all things Victorian. Local suppliers were sought for everything, from artisan food and beverages through to the furnishings and accessories in the luxury rooms. Guests will enjoy a sound night’s sleep on comfy mattresses with patented bedding design from Melbourne company, Chiropedic Bedding. These beautiful beds, adorned with fire engine red wool blankets from Waverley Australia are a stylish addition. Each bathroom offers a range of complimentary Kevin Murphy amenities containing essential oils that are naturally superior to man made substances. There is a mini bar with a difference, housing wine sourced from Victorian wine distributors Craiglee, Shadowfax, Yering and Tarra Warra. Other locally made treats include Grand Ridge and Three Troupers Beer, Cocoa farm dark and buttermilk chocolate. A complete gourmet destination Middle Park Hotel has built an excellent reputation for dining and imbibing in the past eight months since its re-launch. Consulting chef Paul Wilson has created a unique menu that uses primarily Victorian produce with a focus on rare breed meats. This is a menu that not only intends to satisfy destination diners, but also hotel guests. Middle Park Hotel dining takes cues from the exclusive atmosphere of a gentleman’s club and their menus offer dishes designed to excite and satisfy. Paul Wilson and his elite team headed up by fellow Brit. Dave Marshall ensure that the cuisine encompasses the best of what is local within a seasonal and market-driven gastro pub, sourcing Victorian and organic produce wherever possible. Mr Wilson has used his considerable produce connections and sourced rare breed cuts of meat which are unique to the hotel including Belted Galloway, Welsh Black, Charolais and Black Angus beef, all which feature throughout the year’s seasonal menu. For breakfast, lunch or dinner, Middle Park Hotel is a first rate food stop. Signature dishes channel grand hotel classics such as the Prawn Cocktail, Scotch Eggs, Chicken Kiev, or direct from the Connaught UK, Eggs Royale in the morning. A carefully assembled Victorian wine list, boutique beer list and cocktail list impress the thirsty punters, while the coffee rates highly in a very competitive Melbourne zone. It is the unexpected that will transform guests’ experiences when they stay at the Middle Park Hotel. Customised pendants and bedside reading lamps have been thoughtfully designed and for guests further please, each room contains an iPod dock. Door tags, taken directly from seventies Sandman Van slogans, are sure to amuse and include “Don’t laugh, your daughter could be inside” and “If this rooms rockin’ don’t come a knockin”. Discrete hallway lighting and quality Egyptian cotton towels are other “tangible impressions that add to a quality of experience for the guest”, says Hotel Manager Mary Ann Haywood. Much thought has been given to the style of art in each room to complete the minimalist styling. The final decision and finishing touch was to use photography by the Australian artistic legend, Rennie Ellis. Ellis' spirited work as a social photographer for high profile magazines introduced the candid shot and changed the course of social photography in Australia. For over three decades, Ellis observed and captured Australians at work and play that is "life" in the land Downunder. With a mix of photography inspired by great Victorian sporting moments, social life and rock n’ roll, Rennie Ellis’ photography is thought provoking and reflects the personality of the Middle Park Hotel. Located opposite the Grand Prix track at 102 Canterbury Road, Middle Park Hotel is now open. ‘Rack rates’ start at $250 per night for a double room and range up to $800 per night for a King Suite. Or choose to stay at the exclusive King Apartment premier suite for $1000 per night. Prices may vary depending on the season and length of stay. Special introductory rates are available and begin at $170 per night. Australian travellers will have the chance to explore the best of Australasia and Asia from the decks of Princess Cruises’ megaliner Diamond Princess, with the release of her 2011-12 Down Under cruise season. The most modern ship to be based in Australia for a season, the 116,000-tonne Diamond Princess will offer 16 cruises sailing to Australia, New Zealand and Asia between October 2011 and April 2012, ranging from 12-39 nights. On sale now, a highlight of the new program is the 39-night Australia, South East Asia and China Grand Adventure cruise from Sydney to Singapore departing February 4, 2012. The voyage heads north via tropical Queensland and the Northern Territory, before calling at bustling Hong Kong, Taiwan, Japan, South Korea, China, Vietnam and Thailand and is priced from $5799* per person twin share. Travellers keen to combine the highlights of Queensland summer cruising with Asia in less time can opt for the 23-night voyage between Australia and China, departing Sydney on February 4, 2012. The cruise will call at Hong Kong, Taipei, Nagasaki, Pusan, Shanghai and Dalian before ending in Beijing and is priced from $3469* per person. 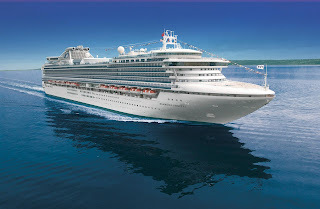 Meanwhile, Diamond Princess will also offer seven 16-night sailings to South East Asia and China between Singapore and Beijing. Starting from $2439* per person, the voyages begin in Singapore or Beijing, calling at Pusan, Nagasaki, Shanghai, Hong Kong, Nha Trang, Ho Chi Minh City and Bangkok. Diamond will also sail a series of four 12 or 13-night voyages between Australia and New Zealand over December 2011 and January 2012. Priced from $1949* per person, the voyages begin in Sydney or Auckland and feature scenic cruising through spectacular Fiordland National Park, as well as visits to Melbourne, Hobart, Dunedin, Christchurch and Tauranga. The 13-night cruises also call into Wellington. Carrying 2680 passengers, Diamond Princess features five dining alternatives, 13 bars and lounges, five swimming pools, a wedding chapel, the Lotus Spa, a mini golf course, an art gallery, jogging track and gym with a swim-against-the-current lap pool. 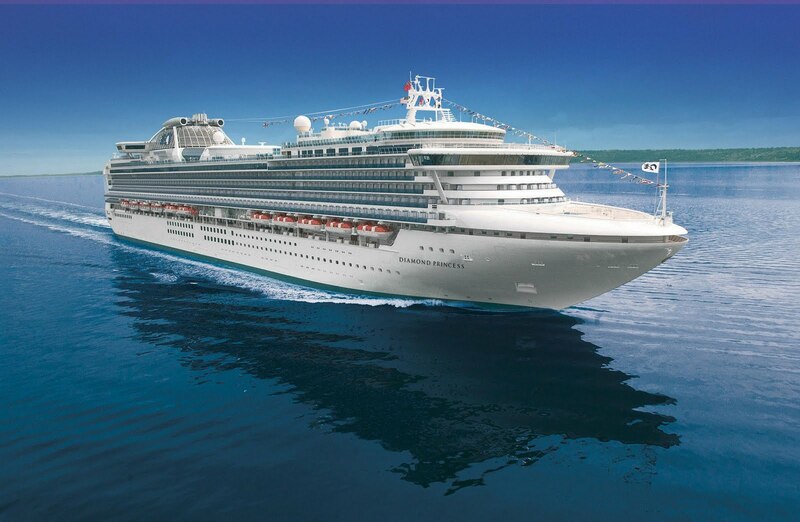 For details, see a travel agent, call Princess Cruises on 132 488 or visit www.princess.com. Seven Skies Luxury Adventure Travel has captured the essence of Sri Lanka, the beautiful tear-shaped island emerging as one of the world’s hottest new destinations, with a 14 day escorted trip created to experience the best of its superb regional cuisine, stylish boutique hotels, ever-changing landscapes and rich colonial history. - Cycling through paddy fields, temples and villages to UNESCO World Heritage listed Sigiriya Rock, with its collection of ancient frescoes, returning afterwards to luxurious Vil Uyana, a series of modern thatched villas reflecting Sri Lanka’s contemporary design aesthetic to enjoy an Ayurvedic spa treatment. - Savouring a traditional nine course Sinhalese banquet in the former home of a Kandayan Chief (now The Kandy House) in stunning lakeside Kandy, one of the country’s leading cultural centres. - Trekking across the lush, green tea plantations of Bogawantalawa Valley, moving from one beautifully restored colonial bungalow to the next to retrace the steps of the British tea estate managers for whom these were originally built, enjoying the service of butlers and traditional high tea. - Climbing sacred Adam’s Peak, (Sri Pada) Sri Lanka’s holiest mountain, with local pilgrims who ascend in pre-dawn darkness for spiritual enlightenment and an unforgettable view. - Exploring 400 year old Galle Fort by foot and bicycle, with its eclectic colonial heritage, ramparts and artisan vendors, indulging in the five star opulence and cuisine of legendary Amangalla afterwards. - Swimming at Wijaya Beach and enjoying sunset cocktails at the beach club bar after cycling through a string of villages, coconut groves, spice plantations and temples on the intoxicating south coast, culminating with a celebration dinner in the elegantly restored Sun House restaurant. This Seven Skies 14 day package for late 2010 is priced from $8995 per person twin share (excl. airfares from Australia). Bookings www.sevenskies.com.au or (07) 3160 5484. Fresh from supporting South Africa’s successful hosting of the 2010 Football World Cup, South African Airways has revealed strong visitor interest and enquiries in August through to Christmas this year. According to South African Airways’ Head of Australasia Thevan Krishna, the airline is seeing stronger bookings for the remainder of July and August and much greater enquiry levels direct to SAA and to the travel trade well into 2011. “I think people were waiting to see how the World Cup campaign went and now that it has been judged an overwhelming success, they want to come and visit our country,” Thevan said this week. “During the World Cup SAA flew many thousands of international visitors between matches and we had minimal disruption to flights – the feedback has been fantastic,” Thevan said. “South Africa invested heavily in new transport and tourism infrastructure which will pay dividends for the country for years to come,” he said. Thevan said SAA was working with SA Tourism and our friends in the Travel industry to market the country to Australians with a series of workshops and seminars planned for the next 12 months. “We’re serious about taking advantage of the spin-off benefits of the World Cup and starting today we are off and running to show more Aussies the best that South Africa and Africa can offer,” Thevan said. The 2011 Santos Tour Down Under race routes were unveiled this week at the official launch of the UCI ProTour event, that will be staged in Adelaide and regional South Australia from 16-23 January 2011. The race has grown to become a strong tourism event for South Australia and is firmly established on the world cycling calendar. The launch of the 2011 Santos Tour Down Under race routes coincides with the Tour de France. 37 cyclists that raced in Adelaide in January are competing in the Tour de France. The 2010 Santos Tour Down Under drew record crowds of over three quarters of a million people, attracted nearly 40,000 visitors from interstate and overseas and provided a $41.5 million boost to the State's economy. Race Director Mike Turtur announced that the race will head east of the Murray River for the first time, with a stage from Tailem Bend to Mannum. “Tailem Bend will host a start of the race for the very first time and the route will also include regular favourites with cycling fans including Old Willunga Hill and Stirling,” said Mike Turtur. “The 2010 Santos Tour Down Under saw the strongest field of riders ever assembled for the race, and many have gone on to have a very successful racing season”. World Champion Cadel Evans is currently leading the UCI’s individual world rankings, Lance Armstrong finished second in the Tour de Suisse and third in the Tour de Luxembourg and 2002 Santos Tour Down Under winner Michael Rogers won the Tour of California. Santos chief executive David Knox said the company was pleased to again be associated with the most important cycling event in the southern hemisphere. “Last year’s Tour was the best ever, and I’m sure that in 2011 the Santos Tour Down Under will be even bigger and better again. The calibre of athlete it attracts, the global coverage that it receives, its immense and growing popularity and the exceptional competence and energy with which it is executed are all hallmarks of its success,” said David Knox. Aurora Expeditions have launched the High Arctic 2011 brochure with exciting voyages to Spitsbergen, Greenland and Iceland. In this fifteenth season of exploration, Aurora Expeditions has introduced an action packed diving option on selected voyages, plus a completely new voyage, the “Iceland & Greenland Explorer focusing on Greenland’s stunning south east coast. Under sea divers will delight in a realm of huge kelp forests alive with crabs, sea butterflies, sea hedgehogs, jellyfish and arctic fish. Those who would prefer to stay above the sea can opt for the ever popular sea kayaking, available on most voyages. Aurora Expeditions will always surprise and delight our clients with magical sights. Imagine a walrus swimming in your wake, or a polar bear stalking a seal in the pack ice or the midnight sun breaking through the clouds to play across the wilderness of tundra, fjords and distant mountains. The kingdom of the polar bear is best reached by Aurora’s Polar Pioneer. This small ice strengthened ship takes a maximum of 54 passengers and has the flexibility to reach places closed to larger vessels. Explore the home of the polar bear. There are no open sea crossings on this discovery voyage where you’ll find deep fjords, mysterious desert mountains and seals and whales in the Arctic pack ice. This voyage offers the best chance for finding polar bears and features wildflower walks, trapper camps and historical remains of whaling stations. Avid divers will love the inaugural arctic scuba dives which begin on this voyage on 31 July 2011. This adventure combines the best of Spitsbergen and Greenland, with a taste of Iceland. Cross from Spitsbergen’s rugged northwest coast over the Greenland Sea to fantastic icebergs and the fairytale landscape of granite spires rising 2000 m above the fjords. Be welcomed by local Inuits and learn some of the trade secrets of their culture. This inaugural voyage visits the Westman Islands via the colourful port Heimaey. One may hike to the still warm rim of Eldfell, an active volcano, or photograph the puffin cliffs before heading to the wild ice laden fjords of Greenland. Here passengers can expect vast tubular icebergs and an impressive array of wildlife. Cruise into unchartered waters with this inaugural voyage and feel the true thrill of being an explorer. Aurora Expeditions are the pioneers of ship-based adventures. The staff and owners remain committed to small, low-impact groups keen to experience the Arctic in many ways whether by walking, scuba diving, sea kayaking or sitting quietly and absorbing the surrounding magnificence. Aurora Expeditions is a founding member of the Association of Arctic Expedition Cruise Operators, dedicated to leading expeditions that respect the environment and local cultures. Cunard Line has announced details of its 2012 world voyages on its new Queen Elizabeth and legendary flagship Queen Mary 2, marking a 90-year legacy of annual circumnavigations. On sale in Australia from Friday July 16, the new program features a 107-day journey around the globe on Queen Elizabeth and a 108-day voyage on Queen Mary 2, which will include the liner’s first circumnavigation of Australia. Between them, the two liners will visit 60 ports across 33 countries, with their voyages including a host of maiden visits such as Queen Mary 2’s first call to the spectacular sand dunes of Namibia’s Swakopmund. In Australia, the ports of Brisbane, Cairns, Darwin and Melbourne will welcome the spectacular 2620-passenger Queen Mary 2 for the first time, while her youngest sister, the 2092-passenger Queen Elizabeth will make her inaugural calls to Brisbane and Port Douglas. Early booking savers are available on the full world voyages with fares starting from $28,509* per person twin share for Queen Mary 2’s sailing which departs Southampton on January 10, 2012.
o 24 nights sailing from Sydney to Singapore on Queen Elizabeth visiting Malaysia, China, Vietnam and Thailand with fares starting from $6119* per person. o 17 nights from Cape Town to Adelaide on Queen Mary 2 with calls to Durban, Port Louis and Fremantle, start from $4089* per person complete twin. o 56 nights from Brisbane to Southampton on Queen Elizabeth, visiting ports throughout Asia, the Middle East and Europe. Fares start from $13,189* per person. Onboard credits of up to US$1500 per person are also available to guests booking line or full voyages. Launching in October this year, Queen Elizabeth’s complete circumnavigation will see her sail from the UK to New York, Fort Lauderdale and through the Panama Canal to Costa Rica and Mexico before visiting San Francisco and sailing south to New Zealand and Australia. She then heads north to Asia and through the Suez Canal to visit the Mediterranean before returning to Southampton. Meanwhile QM2 will leave Southampton for Madeira and the Canary Islands before visiting Namibia and South Africa enroute to Australia where she will complete a historic circumnavigation of the continent. After sailing north to Asia she will visit ports throughout the Middle East and Europe before returning to the UK. * Subject to availability. Conditions apply. Orion Expedition Cruises, has announced a significant sales and marketing initiative aimed at enhancing guest experiences on all Orion Australian 7 night voyages in November and December 2010. Orion will be operating 7 night voyages between Cairns, Sydney, Melbourne and Hobart and has selected some of the finest and most sought after hotel and spa/lodge options to create inclusive 9 or 10 night land and cruise packages for sailings departing 2 November, 9 November, 24 November and 1 December 2010. Guests will be able to select from one of the following pre or post voyage options available as an inclusive added-value accommodation experience at no additional cost to the Orion expedition fare. These premium 2 and 3 night accommodation packages are worth up to $5,000 and include meals, transfers and private tours, representing significant added value for guests. Prices for these Orion packages start at $6,040 per person based on twin share. Orion have created additional marketing and sales support for this promotion including a 20 page ‘Experience Australia’ brochure, and an e-brochure for distribution to travel agents databases. Lufthansa Business-Class passengers on European routes are now enjoying a very special wine appellation from the Loire valley: A Cabernet-d’Anjou 2009 from the Chateau de Tigné estate owned by celebrated French film star Gérard Depardieu. Gérard Depardieu is a film legend indisputably but acting is not his only passion. Well before his sympathetic incarnation of the overgrown Obelix, popular among younger audiences, he discovered a love and enthusiasm for the fine wines of his native France. A few years ago, Gérard Depardieu acquired a historic chateau in the Loire Valley, which has survived religious wars and revolution in a chequered history. He was enraptured with the vineyard and wine cellars attached to the estate and, from that moment on, became a vintner. Each year, the vineyard crafts the choicest of wines to the delight of wine lovers. But working the poor soil of the region is hard graft before valuable vines can be enticed to grow and be harvested as the grapes mature. Whereas elegant whites are produced from Chenin Blanc, a superior cuvée from red grapes like Gamay, Grolleau, Cabernet-Sauvignon and Cabernet-Franc turns out juicy rosés and strong reds. The rosé Cabernet-d’Anjou 2009, pressed from the two Cabernet vines, develops a distinctive flavour reminiscent of fine citrus fruits and raspberries. It is noted for its stimulating character and is delightful to the palate. An outstanding summer wine, it is currently being served in Business Class on Lufthansa’s European flights. No gourmet menu is complete without quality wine to match the exquisite food. But noble and tasteful as a wine may be on the ground, it loses its characteristic notes in a wine lover’s perception at cruising altitude in the aircraft cabin. Low pressure in the aircraft adversely affects the sense of taste and the development of a wine’s bouquet and aroma. Not all wines fly well. So to ensure the fruit of the vine delights passengers in-flight. Lufthansa relies on advice from Sommelier World Champion Markus Del Monego, For “Vinothek Discoveries“ – Lufthansa’s award-winning wine programme, he puts together a selection of exceptional wines every two months. Markus Del Monego travels the world exclusively for Lufthansa in the quest for the finest treasures of the wine-world to recommend and be discovered by First and Business-Class passengers as they settle back in their cabin seats. In the catering sphere, Lufthansa has assumed the role of global ambassador for the best of German wines. These are chosen at blind tastings attended by Markus Del Monego and other recognised wine experts. Each year, Lufthansa offers around 40 vintages hand-picked from more than 30 German vineyards on long-haul routes alone. All told, around 3.5 million litres of wine from top estates are served in all travel classes yearly. Lufthansa, SWISS and Austrian Airlines operate flights via 12 getaways from five origins in Australia. Within Europe, the Group’s airlines fly to over 150 destinations, offering Australian travellers the most extended network of all airlines.